Now watch the final chapter of the Coathanga Strangla music video trilogy the way it was meant to be seen. 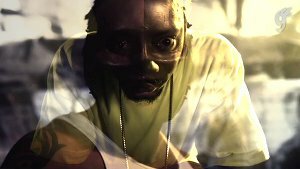 The Strange Version of Brotha Lynch Hung’s music video for “Spit It Out” serves more justice to the storyline of the Coathanga Strangla, further exploring the horrifying aftermath of what happened in the previous chapter of “Mannibalector”. In “Spit It Out” – The Strange Version, the Coathanga Strangla suffers deeply due to the death of his son, who you may recall was accidentally shot dead by the Coathanga himself. Now the Coathanga is left without a wife, without a son, and his only company are the demons that have taken over his mind, touching on the song’s themes of exorcism and catharsis. Flashbacks of The Coathanga and his son together further enhance the tragedy of his character, and we’re left to wonder how it could get any worse. “Spit It Out” – The Strange Version sets the stage for what is sure to be a shocking finale in the saga of The Coathanga Strangla. Stay tuned for the final three music videos that will accompany Brotha Lynch Hung’s last album in the Coathanga Strangla album trilogy, Mannibalector.